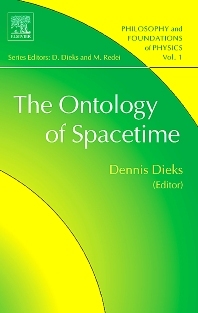 This book contains selected papers from the First International Conference on the Ontology of Spacetime. Its fourteen chapters address two main questions: first, what is the current status of the substantivalism/relationalism debate, and second, what about the prospects of presentism and becoming within present-day physics and its philosophy? The overall tenor of the four chapters of the book’s first part is that the prospects of spacetime substantivalism are bleak, although different possible positions remain with respect to the ontological status of spacetime. Part II and Part III of the book are devoted to presentism, eternalism, and becoming, from two different perspectives. In the six chapters of Part II it is argued, in different ways, that relativity theory does not have essential consequences for these issues. It certainly is true that the structure of time is different, according to relativity theory, from the one in classical theory. But that does not mean that a decision is forced between presentism and eternalism, or that becoming has proved to be an impossible concept. It may even be asked whether presentism and eternalism really offer different ontological perspectives at all. The writers of the last four chapters, in Part III, disagree. They argue that relativity theory is incompatible with becoming and presentism. Several of them come up with proposals to go beyond relativity, in order to restore the prospects of presentism. Philosophers of physics, Physicists and Mathematicians interested in foundations and philosophy, Historians and Philosophers of science, Students and everyone interested in space and time from a modern perspective.